The Nebraska Corn Growers Association 2018 Annual Meeting will take place on Wednesday, December 19, 2018, at Nebraska’s Innovation Campus in Lincoln. The annual meeting is a time for grower members to come together and discuss the policy that will direct the association for the coming year. All local association president’s and NeCGA board members have received a hard copy of the 2018 resolutions, along with proposed resolutions forms, delegate forms, and other pertinent information. If you have any questions regarding the annual meeting, please reach out to the office, the local association president, or state board representative. Following the business portion of the meeting, NeCGA will join together with the Nebraska Soybean Association for lunch and to hear from the featured speaker. This year we are excited to welcome Eric Snodgrass. 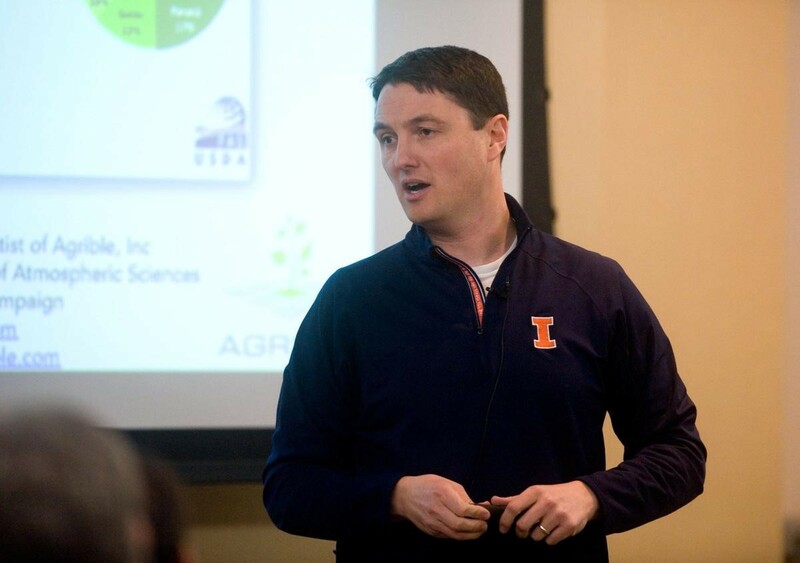 Eric Snodgrass is the Director of Undergraduate Studies for the Department of Atmospheric Sciences at the University of Illinois at Urbana-Champaign. Each year, he guides over 1800 students through the wild side of weather in ATMS 120: Severe and Hazardous Weather. He teaches advanced courses on General Physical Meteorology (ATMS 201), Meteorological Instrumentation (ATMS 315), Economics of Weather (ATMS 491) and supervises numerous Capstone Research projects. Snodgrass also teaches ENSU 310: Renewable and Alternative Energy for the Environmental Sustainability Program. He advises all undergraduate majors and minors in atmospheric science (~100 students) and supervises graduate teaching assistants and master’s students. He serves on numerous committees and boards on campus including the Provost’s Teaching Advancement Board (Chair), Student Sustainability Committee and the Provost Task Force on Improving Large Enrollment Courses. Snodgrass’ research initiatives focus on K-12 science education. He has recently been awarded the LAS Teaching Excellence award, the Campus Teaching Excellence Award, and the Campus Teaching Excellent Award in Online and Distance Education. Also, his online version of ATMS 120 was awarded the 2012 “Best Online Course” from the University Professional Continuing Education Association (a national organization).